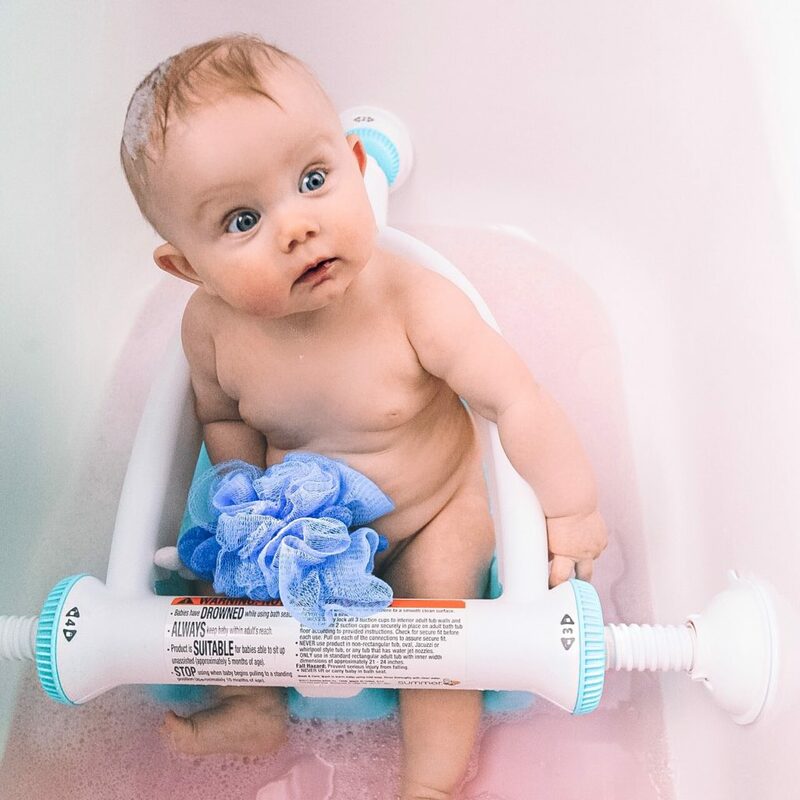 Bath time is hitting a whole new level with Theodore outgrowing the sink and being able to sit up with support now. 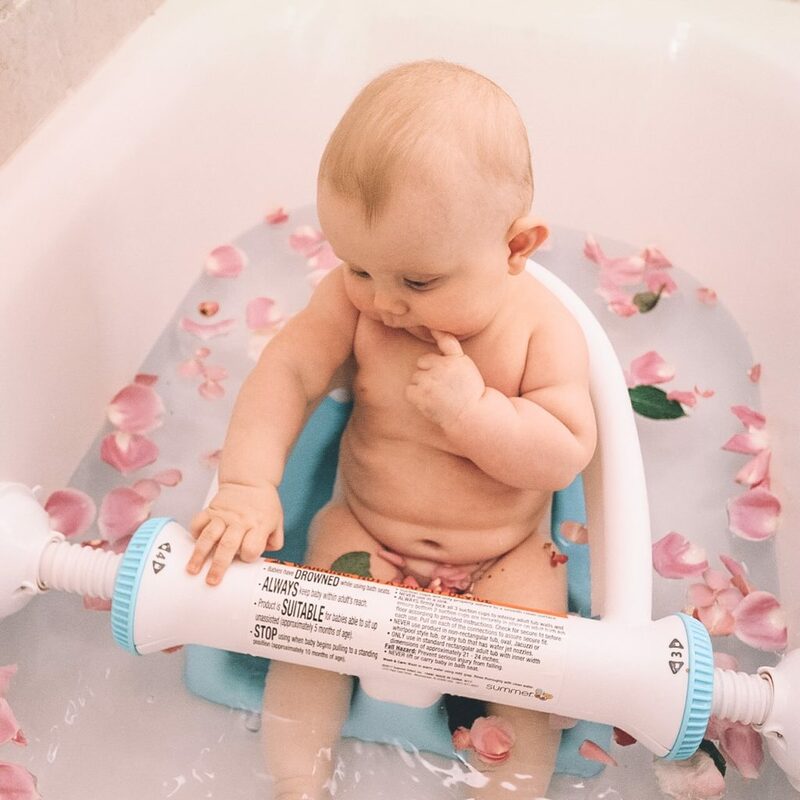 He finally is able to experience a bath without his me having to get in and hold him in the tub thanks to the Summer Infant My Bath Seat™. I’m loving the flexibility it’s giving me to be able to reach for a bottle of shampoo with one (or both) hands if I need too. Obviously, while always keeping baby within my reach and a close eye on him. Theodore’s favorite thing right now is to play with the bubbles and he loves reaching out for them. Meanwhile, I’m busy throwing piles of bubbles on Theodore’s head to make him look extra adorable during bath time. With both hands free I can style a Mohawk, or even give him a bubble beard. It’s so fun! 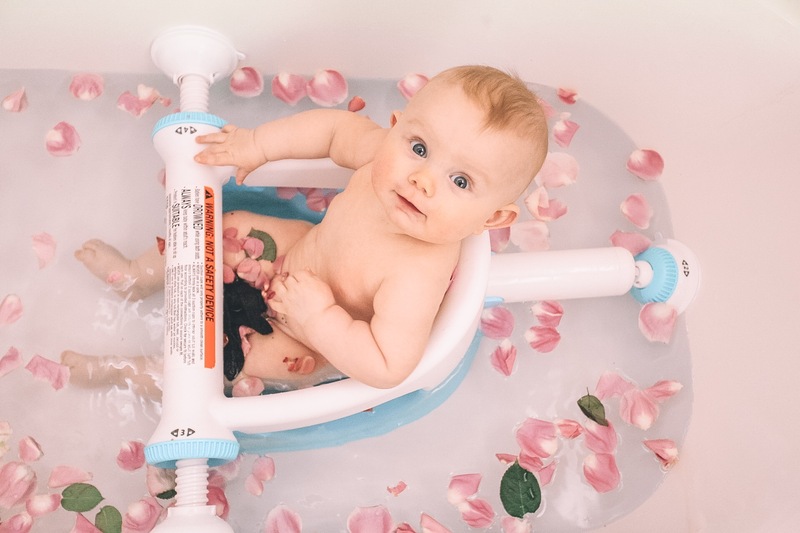 This My Bath Seat™ is a mommy must have and would be a great gift for a baby registry. 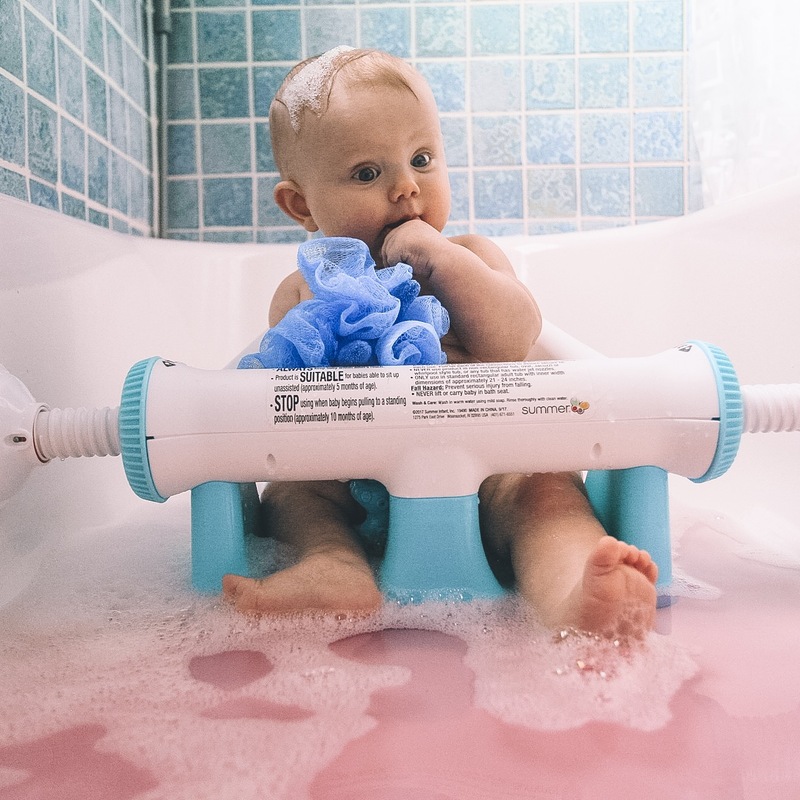 Think about how much easier it is to get the towel ready and baby out of the bath with two hands free, especially, after mommy is likely holding baby for hours on end. 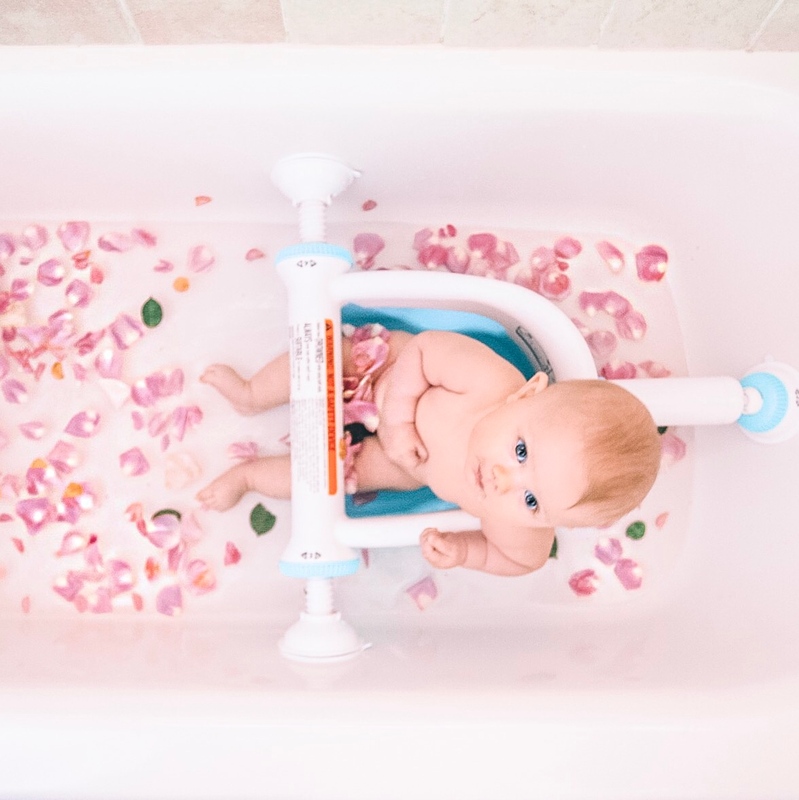 It’s a nice break to give mom during an event that needs to happen often and is hard to do over the side of a tub with just one hand holding baby and one hand trying to clean or play with baby. It’s game changer!